The Order of Malta’s Prelate, Bishop Jean Laffitte, is the religious superior of the Order’s clergy. The Prelate helps ensure that the religious and priestly life of the Order’s clergy are followed according to the Order’s discipline and spirit. 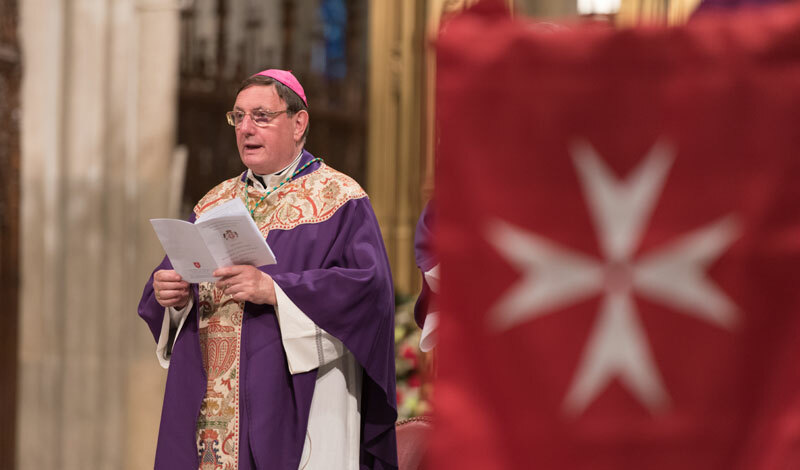 In his April 2016 address to the American Association’s chaplains, Bishop Laffitte discussed the Order of Malta’s spirituality in light of its members’ unified call to promote God’s glory and personal sanctification through a spiritual bond with the Lord and the church that inspires the Order’s modern approaches to serving the sick and the poor. Click here to read The Essential Elements of the Spirituality of the Order of Malta.